· As we align our curriculum and instruction to the common core, part of the process will be toalso share best practices. 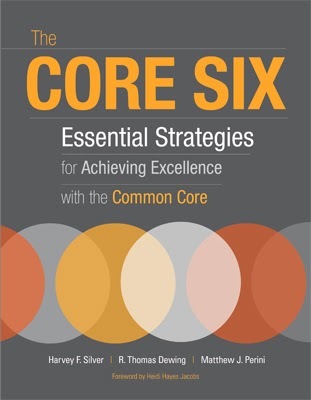 A compilation of common core best practices will be complete by the end of the year. Here is an example of one best practice from the book “The Core Six” featured below. 4-2-1 Free Write– This tool helps students to focus their writing on the most important ideas through a process of collaborative summarization. 1. After a reading, lecture, learning experience, ask students to generate the four most important ideas. 2. Have students meet in pairs to share their ideas and agree on the two most important from theirlists. 3. Pair up the pairs into groups of four. Each group must agree on the single most important idea. 4. Ask the students to free-write about the big idea for three to five minutes, explaining what they know well enough that someone who has never heard of the idea could understand it.